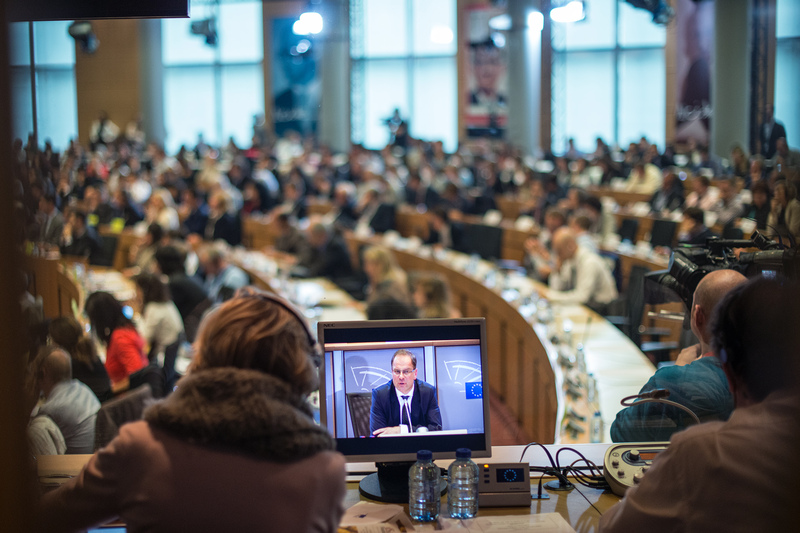 MEPs on Tuesday (7 October) are hearing the last commissioner candidates, Jyrki Katainen of Finland and Frans Timmermans of the Netherlands. 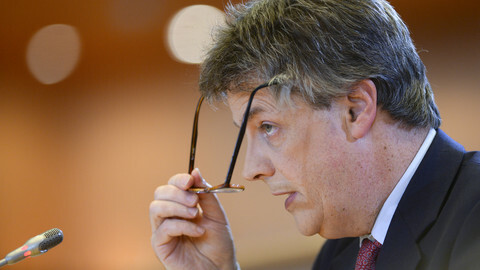 They are also holding a second hearing for the British commissioner, Jonathan Hill, and are set to decide on the remaining "unconvincing" commissioners who were asked extra questions or needed a legal opinion. On Monday, MEPs in the culture committee gave a thumbs down to the Hungarian commissioner, Tibor Navracsics, saying he is not fit to be put in charge of culture, education, and citizenship. He may, however, get a different posting or keep only part of his portfolio, depending on a bigger deal among political groups. The head of the new European Commission, Jean-Claude Juncker, is to meet with the group leaders and the head of the European Parliament, Martin Schulz. 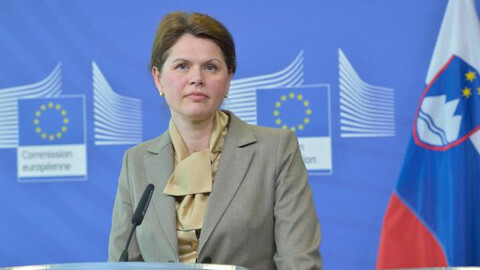 A new weak candidate also emerged on Monday in the form of Slovenia's Alenka Bratusek, whom Juncker gave a senior position overseeing the nascent "energy union." 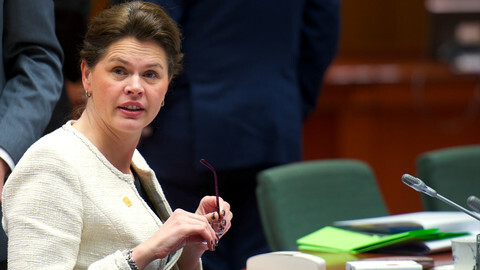 Bratusek, a former prime minister, failed to impress as her answers were seen as short and generic. Apart from her own political family, the Liberals, all groups "showed a negative inclination" when evaluating her performance in the environment and the energy committees, a parliament source told this website. They agreed to postpone a decision until Tuesday, with a possible vote to take place on Wednesday at the earliest. Meanwhile, a legal opinion on Monday cleared Spain’s Miguel Arias Canete of potential conflicts of interest after looking into his newly-changed declaration of financial interests. 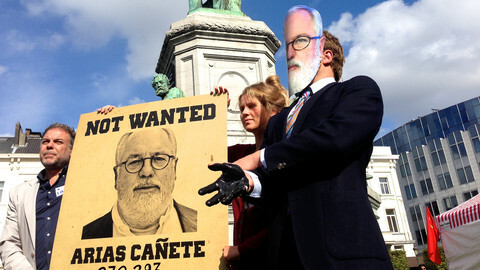 Canete, who should become commissioner for energy and climate, was under heavy fire from centre-left MEPs for having held shares in two oil companies. He sold his shares days before the hearing, as did his wife and son, but not his brother-in-law who now sits on the board of the same companies. MEPs in the legal affairs committee on Monday evening voted with 11 in favour, five against and three abstentions to clear Canete. On Tuesday, MEPs in the energy and environment committees will meet to decide if they give him the green light. The same goes for the Czech commissioner, Vera Jourova, who so far had the most extra questions about her complex portfolio, ranging from border protection to consumer rights and gender balance. France's Pierre Moscovici is also set to hand in replies to his supplementary questions by early Tuesday afternoon. A likely deal is for Juncker to reshuffle some of the competences in order to avoid an outright veto on his entire commission later this month. Slovene commissioner Alenka Bratusek emerged bruised from her EP hearing on Monday with MEPs across the board criticising her for being too vague. Hungary's new commissioner has distanced himself from Orban, while the UK's Hill pledged to work in the "general interest" in their bid to win over undecided MEPs. 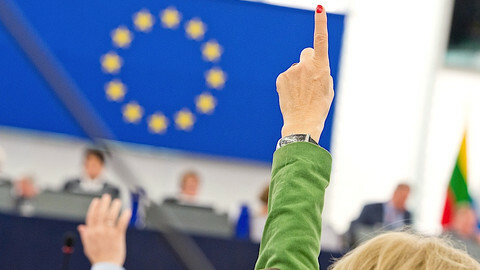 MEPs are Wednesday to decide on the five commissioners who failed to get the green light after parliamentary hearings, with the Slovene nominee set for the axe.